Welcome to the final day of our Winter Blast from the Past! 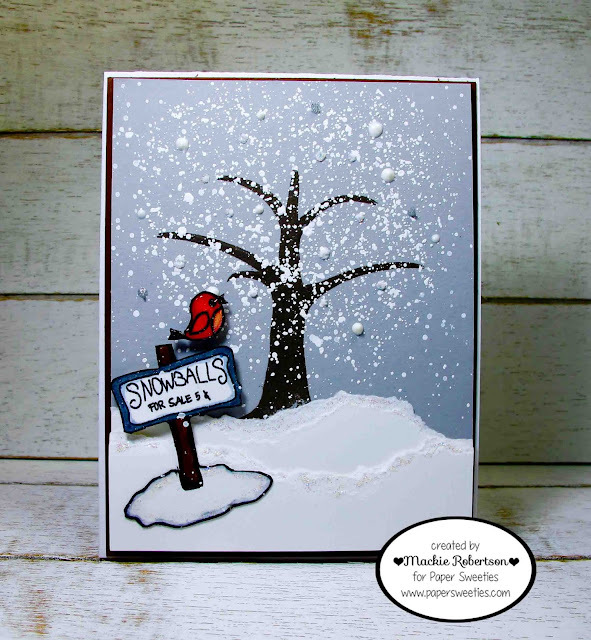 I wanted to create a wintry scene . I thought this tree would be perfect! It is the Tree of Life. 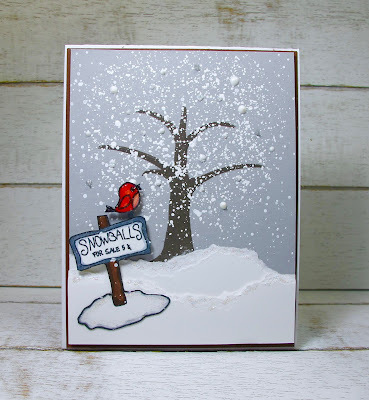 I stamped it onto the card stock with SU Early Expresso ink and then splattered lots of white paint to look like snow! I added the sign and a little red bird. I'm sure a scene like this was seen in a lot of places last week. BRRRR!!!! What an awesome snowstorm! This is cool Mackie! What a lovely winter scene, Mackie!! I saw a cardinal this morning! Love seeing the birds out my kitchen window! We had snow this morning! Yes, your card looked just like what I saw out my window! :-) Great card...love it!! 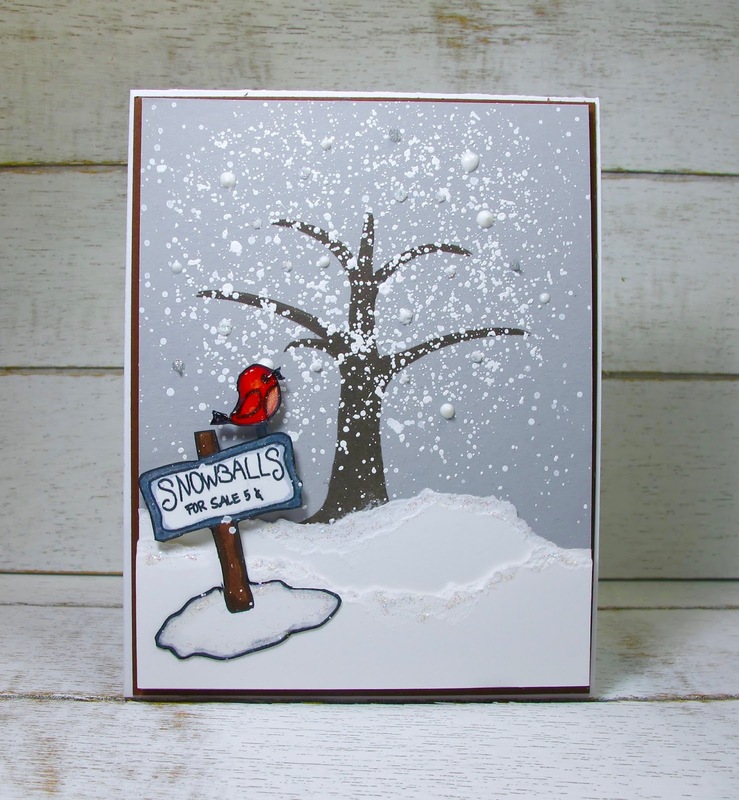 LOVE the snow and that little red birdie on the sign is such a GREAT pop of color!